Dedicated with gratitude to A.B. “Antisemitism” is a word and a political construct. Antisemitism is a danger not to the purported victims of said antisemitism, but to the actual victims; those accused of it. Everyone lives the antisemitism minefield. Enough, I think. It might be worthy of notice (or, possibly, not, who knows?) that Aaron Dover is billed on JfJfP as "JfJfP's social media strategist". He is also active on a website called very subtly "The Zionion" - probably a reflection on sense of humor typical for its members. He appears there a few times, although the above quoted article was withdrawn from The Zionion as well (update - it is back again). No wonders why. Well, the seriously over the top - one might say raving - style and contents of the article, plus his hysterical Zionion appearances obviously called for what we, the Elders, do best - a character assassination. So I decided to take a closer look at the author. Starting with his Facebook page. 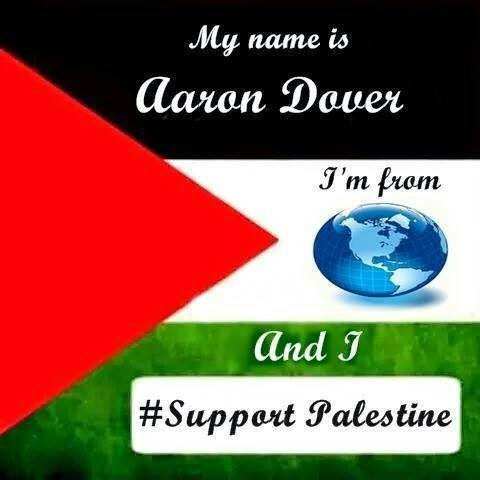 This Facebook avatar of Aaron Dover is worth your attention. The field of flowers and the blue sky on the background: well, being British, pining for blue sky, vitamin D and some respite from color grey is only natural. 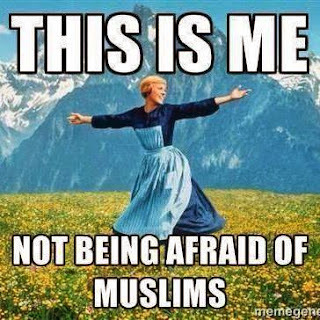 But the text on the avatar: who forces Aaron Dover to be afraid of Muslims? Strange that. 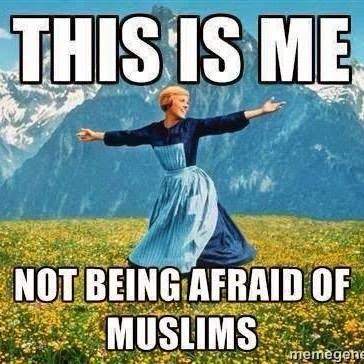 Katsaridaphobia - that I can dig, but fear of Islam? I must have lost a HUNDRED plus people from my life ranging from friends to acquaintances, plus ALL my non-immediate non-London family. My own cousin... who moved from Scotland to a f***ing settlement overlooking Bethlehem... printed and handed me HOLOCAUST LITERATURE when I popped in. Just look at all the wonderful new friends you have gained!! This, I have to say, was too much even for you, my fiendish Zionist friends. There are some limits. And even if there are no limits, there ought to be some. But let's slow down a bit and try to make some order in this TMI (Too Much Information) situation. Although I have a problem now - how to cope with a melody that keeps playing in my brain, since I've started the plunge into these depths of depravity - but let's leave it for now. Let us piece together the story from the available sources. A former hedge fund boss is considering legal action after being “wrongly sectioned” in a maximum-security psychiatric ward. Aaron Dover, 39, claims he was detained against his will for 10 days, physically restrained and forcibly injected with sedatives at Highgate Mental Health Centre. Mr Dover, of Hampstead, was held after his wife became concerned for his well-being and called the NHS 111 out-of-hours number. Authorities feared he might be suicidal and the Metropolitan Police launched a helicopter search. He was having a coffee nearby. I was brought into hospital by a manhunt of more than 10 police cars, police with dogs trawling Hampstead Heath, and a police helicopter, while I was out quietly having a coffee on Flask Walk. I was hunted down like a nuclear suicide bomber rather than someone out for Sunday breakfast. I was held against my will with patients who were terrifying. Some of them were quite aggressive and there were frequent fights. 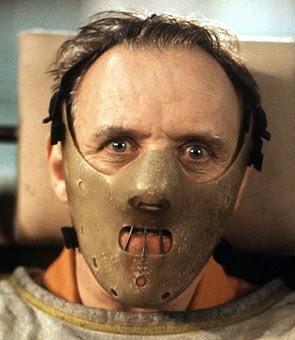 It’s basically the Hannibal Lecter ward of Highgate. Mostly harmless, I would say, and you would agree (of course, if you know what is good for you). Perhaps you might want to remark on the somewhat askew mouth, but wait, you haven't heard the whole story yet. There are a lot of good reasons for the mouth to look as it does. Mr Dover, an intermittent user of cannabis for 24 years including highly potent skunk, admits he was under intense stress but believes his sectioning was based on hearsay and not enough was done to verify his account of events. The metatarsal in my right foot was broken when nursing staff at Highgate Mental Health Centre dragged me through a doorway and it got caught. The fire alarm had gone off and staff blamed me. I feared they were going to assault me in response and I was refusing to come in from the yard which was on CCTV cameras. They did so anyway and broke my foot in the process. I was sitting cross legged in the yard at the time. After that they dragged me to my bed where I was pinned face down and injected twice with a sedative and an anti-psychotic. Following this I was moved to the psychiatric ICU ward the next day. Staff refused me an X Ray and I walked around on the broken foot for ten days until I was released by the tribunal. I went to get an X Ray the following day at the Royal Free Hospital. The hospital trust denied my FOI/DPA application for the CCTV footage. The injury is not on any medical notes that I have managed to obtain. The trust will not confirm whether they acceded to my request to preserve the footage and we are now four months later. This incident is currently under investigation by the police. The NHS have destroyed my career, my health, damaged or destroyed all my personal relationships and my reputation is in tatters. They have ruined my life. Are you still in the LMAO (laughing your arses off) state, you fiends? Tell you what, there will be no character assassination. I am now totally on the side of the aggrieved party. Try and imagine what you would do to someone who broke your metatarsal (whatever it is and wherever it is). Now picture what you would do multiplied by about 1000 in case someone broke my metatarsal... so there. Me: Do you think, Aaron, that the Zionists (Mossad, whatever) offed first all these people in the Charlie Hebdo place and then the four Jews in the supermarket, all that to put a wedge between the French folks and their Muslim brothers and sisters? Me: Aaron, it is I who is supposed to say "Mmm..."! Me: Do you think, Aaron, that Zionists do what they do (mayhem, atrocities etc.) in your name? Me: No worries on that account, Aaron. 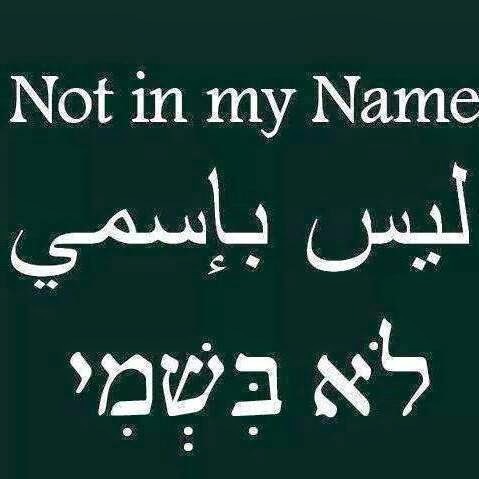 Usually we don't do it, but in your case, which is certainly special, we'll issue a certificate "Not in your name", signed by duly appointed and authorized Elders. Is it agreeable? Me: Do you think it's funny, Aaron? Me: The planet depicted in this poster - is it Earth? Me: Do you see yourself as part of persecuted minority, Aaron? 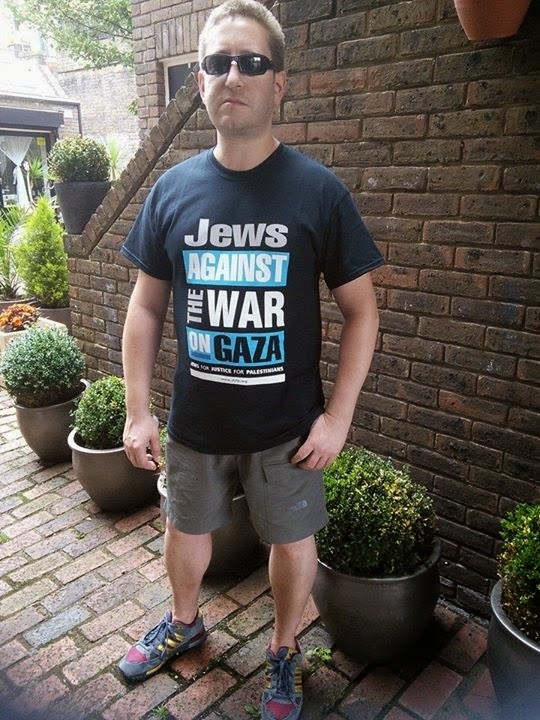 Me: Shouldn't your T-shirt say "Jew against..." and not "Jews against...", Aaron? Do you think there are more than one person in this picture? How many of them are inside that shirt, you think? And what is that whitish stain on your shorts? At this point of the session the patient's blood pressure and breathing returned to normal. Aaron's demeanor improved markedly and it was agreed that there is no need to prolong the session. (*) The visual aids used above belong to Aaron Dover's Facebook page. To: The Elders Mind Control Department (restricted communication). The patient, one Aaron Dover, displays clear symptoms of being hit by mind control radiation from the out-of-focus ray intended for another person. In view of the subject's acquaintance with several persons of interest (such as Deborah Fink), I recommend an immediate intervention of the Chief of Mind Control Dept into the daily operation of the Team UK, to ensure that the operatives switch off the ray while resting, to avoid future cases of bystanders harmed by unintended irradiation. Try to cope with it yourself and see what happens. Meanwhile let our Aaron go! The 1983 Mental Health Act provides for the compulsory admission of patients for assessment under section 2, and for treatment under section 3. - Applications for section 2 and 3 orders can be made by the patient's nearest relative, but most are made by an Authorised Mental Health Professional (e.g., social worker); and an application must be supported by two medical practitioners (one of whom experienced in the diagnosis or treatment of mental disorders; and one of whom has previous acquaintance with the patient). - Under section 2, an individual can be detained for assessment for up to 28 days, after which the patient must be either (a) discharged; (b) admitted as an informal patient; (c) detained under section 3. There are several other 'common' routes for patients to be sectioned - compulsorily detained under the Mental Health Act. 1. In an emergency, a patient can be admitted under section 4 of the act - on the basis of one medical recommendation that 'it is of urgent necessity for the patient to be admitted and detained under section 2'. 2. Under section 136, if a police officer finds 'a person who appears to him to be suffering from mental disorder and to be in immediate need of care or control' in a public place, he can be removed to a place of safety for 72 hours 'for the purpose of enabling him to be examined by a registered medical practitioner and to be interviewed by an approved Mental Health Professional. 3. If a person's behaviour poses 'an unmanageably high risk to other patients, staff or users of a healthcare setting' a police station may be used as a place of safety, but Mental Health Act Code of Practice suggests that this should be exceptional. 4. Section 5 provides that a voluntarily admitted patient can subsequently be compulsorily detained for up to 72 hours in order to prevent him from leaving the hospital, after which continued detention is possible only if the formal powers in section 3 are invoked. I think they all look at him with pride, as a successful child of theirs. More likely they will accuse the Elders of being behind this obvious attempt to discredit their movement. Yeah, he cooks on another planet for quite a long time. The fellow's barking mad. I almost feel sorry for him. Almost. You must first weigh the seeming cruelty of the exposure against the behavior of this character, Joseph. He is seriously overboard in his hate of what he considers to be "Zionists". And have a good look at his imagery... it is not about politics - he is really too far out. Hi there. I'd like to say thanks to Joseph Finlay for pointing out that this is a cruel and personal attack on a total stranger. 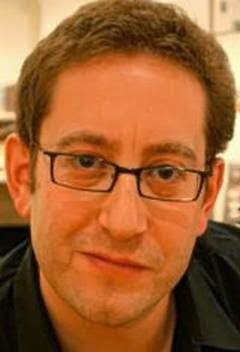 I'd also like to mention that the article to which it refers has never been unpublished and is published on both The Zionion and also Gilad Atzmon's site (he decided to republish it of his own accord; I had never even heard of him before he did so). You can read the article at either of the links below. The writer chose to mislead readers into not reading the article nor addressing any of the content, and instead took a few lines out of context and then launched in an ad-hominem attack instead. I can only speculate as to why a person would appear to attack an article whilst hiding that article. Nobody has chosen to debate the content of the article with me, however you are not the first person to do a smear piece on me. I am flattered; if the article did not contain a lot of awkward truths I would not have got all this attention. The only thing worse than being talked about is not being talked about, as Oscar Wilde once rightly said. Anyway, here I am if you want to do a real interview/discussion of the content, but I'm guessing you are not man enough for that kind of thing. I would ask you to please remove the pictures of me, and to remove the highly defamatory remarks you have made, and all statement and comments falsely attributed to me. I have no problem with you attacking me politically and I will happily defend my articles but this nasty personal public smearing is neither morally or legally acceptable. I do not want to have to get my lawyer involved but I'm afraid I do need to protect my reputation more than you need to smear me, and I have the means to do so. I would also ask that next time you attack me, you give me a chance to respond rather than doing it secretively on your blog without notifying me. "the behavior of this character" well, you created the fictional "character" so you should feel free to attack your fiction but not me, an actual person who you don't know at all. Why don't all of you who feel so strongly about me come and meet me for a nice civilised cup of tea and a chat? Then you can influence me for the better and correct my wrongheaded views. Unless... you are just haters who want to snipe at people and smear them either with made up stuff, or by trying to link them to other people you already smeared. I'm my own person, and all my opinions are synthesised from my own life experiences and perspective. I do not simply receive and regurgitate opinions or facts. It may help you to smear me by linking me to people you dislike, but it's absurd. I would like to understand what it is that bothers you about my article; without you clarifying this I cannot consider it or take it on board. But the only thing I really have in common with those people, that you know of, is that I oppose the occupation of Palestine. That is the one thing that you always refuse to talk about. It's always the elephant in the room. Do you support the military occupation or not? If you do, you are profoundly evil. If you do not, then why snipe at those who agree? And, if you cannot answer, what does that tell us; that you are too cowardly to really commit to any actual position on anything. You are just sniping at us because we have the courage to say what we think and risk all this abuse we get; whereas you do not. You wish you had our courage. Our courage and moral clarity is what really sets this "ilk" you point at apart from you, nothing else. How would you feel if a stranger ran an attack piece on you, showing aspects of your life to people and saying you are an unacceptable person. Do you not realise that doing this says so much more about you than I? It tells us you are fearful, spiteful, cowardly, disingenuous, either unwilling or unable to separate a person from their opinions. Do you have no ambition to raise yourself above the games you played in the playground back at school? Do you not aspire to be able to have civilised debates and win on a level playing field? I have never felt the need to just trash someone like this. Even my worst political enemies, I attack their politics, not them as people. Maybe, I don't even know, but maybe you have nothing to say about the politics. What does it mean to say I am too far out? What it means is I am outside the opinion space boundaries that you believe exist. But those boundaries are not ones I choose to observe. Who are you to say what opinions are acceptable for me to hold or express? Do my views offend you? Why? And which ones. Tell me: I genuinely want to know. 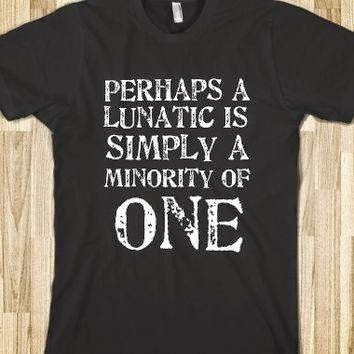 I am not like anyone else, I am unique, and one of the ways in which I am unique is that I am completely open minded. So try me. You might be surprised. Perhaps my views are closer to yours than you imagine... who knows. No links to antisemitic (Atzmon) or rabidly anti-Israeli sites will be provided here. Sorry. As for providing you free publicity - you are welcome. 1. Anything published in a public site, including your original response to 9/11 is public domain. Nothing from your personal unaccessible by public resources was published here. 2. A link to this post was sent to your FB account. Check your "Others" folder. 3. "Nasty"? You are nastier than nasty, Aaron. Gladly, just visit Israel and we'll set up something. The person moderating the blog had edited my comment without my permission to remove the links to the story which he is attacking. At least he still distinguishes between what he perceives as "antisemitic" and "anti-Israeli" sites... for now at least. "That is the one thing that you always refuse to talk about." Nope. We don't. Why don't you try and see. When you stop creating and destroying your straw men, possibly we'll be able to converse, but not before. When I next visit Israel, Palestine will be free and we can have a nice drink to celebrate. Why do you keep trying to link me to other people? I did not know Gilad Atzmon even existed until I published my article and he contacted me to ask to copy it onto his site a few weeks ago. 1. I am confused as to why you mention 9/11, I did not see anything about that, please clarify. That was in 2001... I was not on facebook 14 years ago as it did not exist. 2. I will have a look. 3. How am I nasty and to whom? Please be specific. Well, either you say I am mentally ill, in which case these attacks on me are not just immoral, but criminal discriminatory and defamatory harassment. Or you can say I am not mentally ill and it's just defamatory harassment. Either way I am considering going to the police. I do not tolerate antisemites posting hateful bile about people just because of their Jewish identity and beliefs. After failing to have the OP respond to my requests to take the defamatory material down, I have reported this posting and the comments as a hate crime to police. They will be coming to see me and I have taken a copy of the page to show them. I have also reported this incident to the Community Security Trust. "They will be coming to see me"
Past time, if you ask me. Now fork off and don't return. Would you object if I mentioned that you're a complete Hamasshole? It depends, Tony, on whom you are addressing and whose objections you are seeking. No matter what are your answers to the above, no objections from me. What a horrendous bunch of bullies... No 'Je Suis Charlie' here I take it, Is it just 'our way or the highway'? The mod is horrendous, the article is downright low and to carry on relentlessly having a go at another human being.... sick. "Hypocrisy: Insincerity by virtue of pretending to have qualities or beliefs that you do not really have." I really do believe it when I say that nobody hear will cry when you leave these here pages. 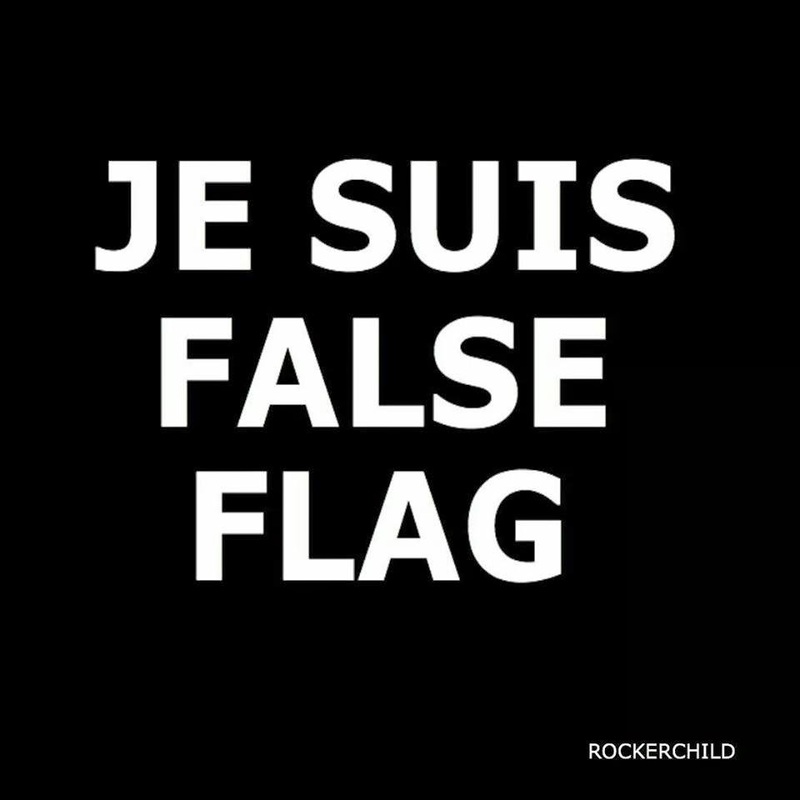 As for 'Je Suis Charlie' - no 'Je Suis False Flag' here, that much is true. Hi Joseph please try to get this taken down as I have had to report it to the police now. So Pisher, your life record which YOU placed in the public domain is defamatory? Will they now. Is it a reunion type of thing? How many cars are planned for this particular episode? Will there be a canine presence? Choppers? Can I suggest that you report this to MIND. They are better able to deal with the particular problems encountered by mentally ill people. MIND is a British institution, I believe. Too far away. Hang On Snoopy - I was asking Aaron.